Sweet in name and in nature, three year-old Honey left a hole in the heart of owners Jade and Alex after she ran away in mid-2014. 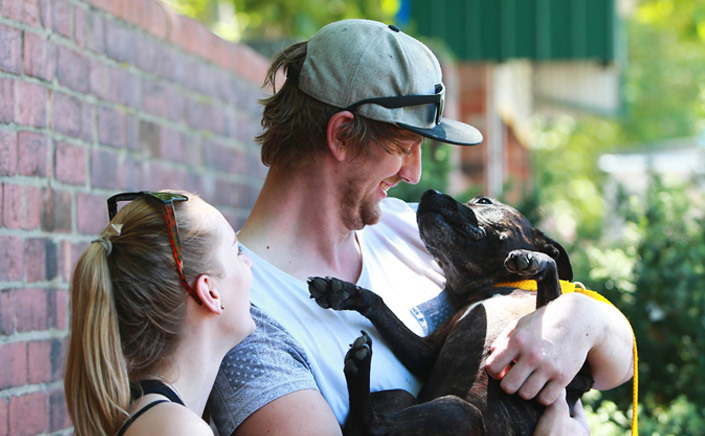 Worried they would never see their beloved English Staffy again; Jade and Alex received the ultimate Christmas gift in December 2015, after getting a call from The Lost Dogs’ Home to tell them Honey was safe and well at the North Melbourne shelter. “It was surreal getting the call from The Lost Dogs’ Home telling us they had Honey in their care. “Only a few weeks earlier my family had been talking about how we all slow down whenever we pass a little English Staffy in the street just to see if they were Honey. “Even after 18 months we never stopped thinking about her,” said Jade. While it is unclear where Honey was during her time away, she did arrive at the Home in a good condition – suggesting she had been looked after by someone who didn’t consider Honey had an owner who was missing her. For Jade and Alex, being reunited with Honey not only drove home the importance of keeping your microchip details up-to-date, but also the importance of handing lost pets to councils and shelters. 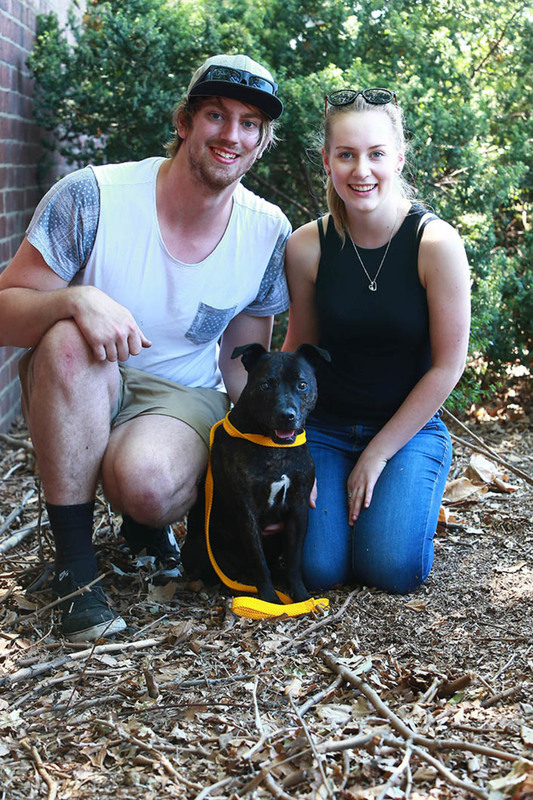 Over the last three months 73 per cent of dogs at our North Melbourne shelter were reunited with their owners, many of them thanks to a microchip with the correct contact details. Now safely back at home, Jade and Alex have enjoyed watching Honey settle into her new surroundings and meet her new companions. “We were concerned with how Honey would settle in as we moved house while she was missing, but it’s like she has never been away – she is enjoying lots of cuddles and belly rubs. Click here for more information on what to do if you find a lost pet in your area. Check your pet’s chip today! Have you ever moved house or changed phone number? Everyday microchipped pets are brought into shelters throughout Australia, but cannot be reunited with their owners because their contact details are out-of-date. ChipChecker is a free service offered by National Pet Register to help you get on top of your pet’s identification. In 10 minutes, you can find out what contact details are recorded on your pet’s microchip and which database your pet is registered on. With Australia Day around the corner, now is a great time to check your pet’s chip. Simply call National Pet Register on 1300 REG PET (1300 734 738) or visit petregister.com for more information.